You’d think they’d be more consistent in using kid photos of baseball players actually playing baseball, from their little league days or whatever. Most of the cards in this section of the monster 1972 Topps set featured just that – the Tom Seaver or Willie Stargell show ’em both in their caps and uniforms back in their childhood days. 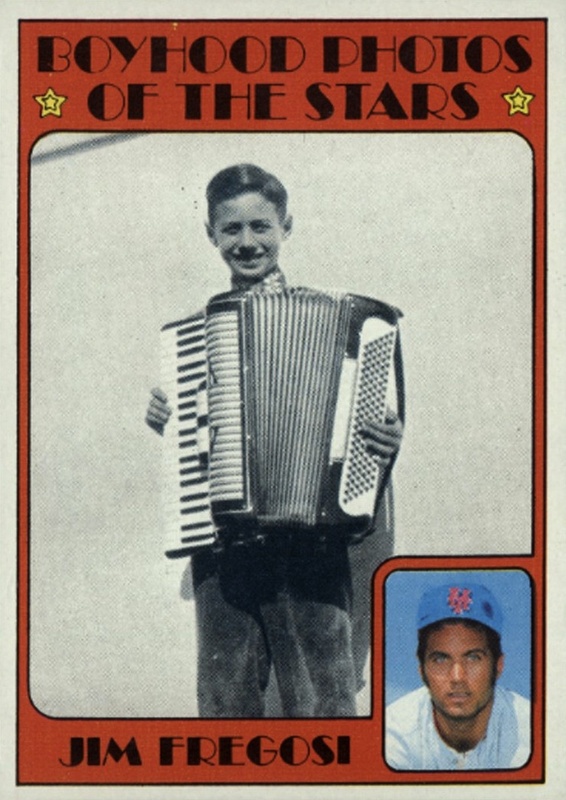 But Jim Fregosi, notable as a star on the Angels for a number of years who the Mets, being the Mets, traded Nolan Ryan for, only gets to play the accordion. Maybe that’s why the Mets wanted him. Actually, Fregosi broke his thumb with the Mets, lasted a year with them, went to other teams as a backup and eventually became a manager back with Angels, the team he’d had his best hitting years with, along with some Gold Glove fielding. And in his mangerial stint with the Angels, he’d have Nolan Ryan on his pitching staff. Not sure about the accordion. The car is a nice touch. 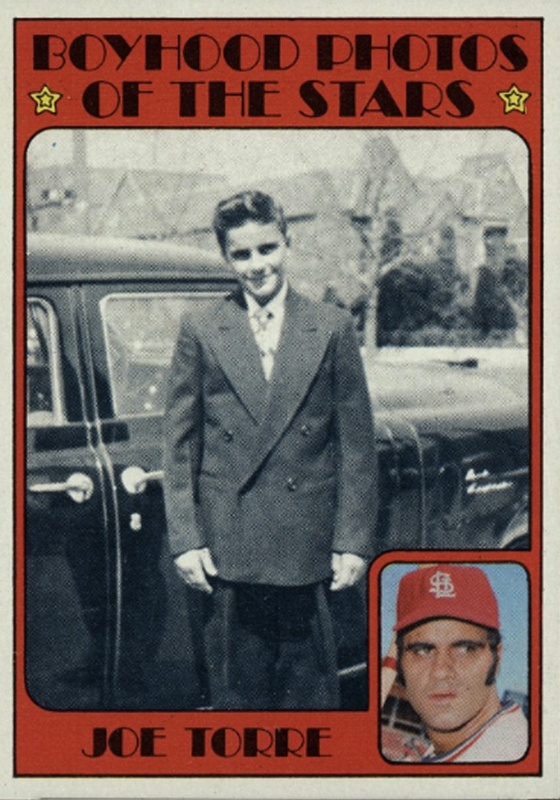 Just out of shot, Tom Hagen is telling Tessio “Can’t do it Sallie!” and Torre’s about to help him into the back seat. You’d think it would have been Clemenza, but Tessio was always smarter. But Joe won 4 World Series managing the Yankees. Play THAT on your accordion.